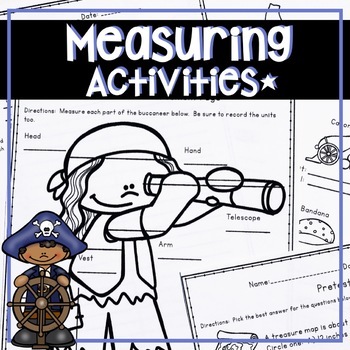 This fun, engaging Pirate measurement unit literally has everything students and teachers could need for two weeks of math instruction to master measurement! Easy to implement and it will save the teacher so much valuable time. With this download, your math lesson plans will be complete for two weeks. 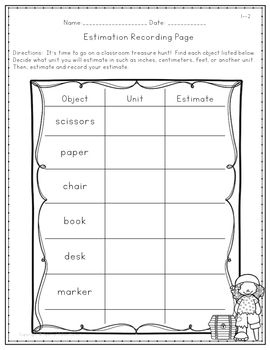 Students will begin the unit with an introduction to various measurement tools and learn how to use them. 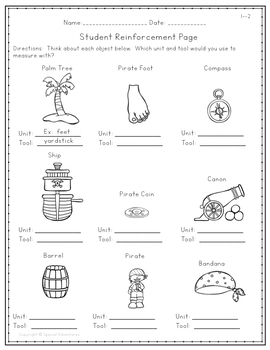 This unit also teaches students how to estimate, compare different units, and even includes a cannonball launch activity and problem-solving. This unit is awesome on its own and can be a great supplement for many other math programs. This unit is part of my year-long second grade math bundle. 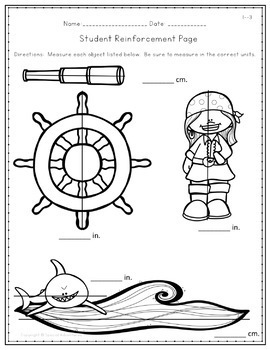 You can check it out here..
***You will need some manipulatives to implement this unit-rulers, and other measuring tools such as measuring tapes, yardsticks, and meter sticks. My similar math units are also available individually.